Take This Training Course If You Desire To Understand Your Purpose and Heal Your Past While Investing In Your Future! 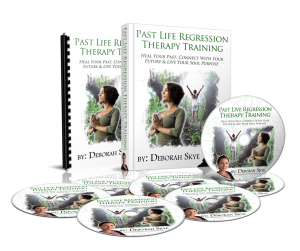 The Personal Past Life Regression Training course is taught via a 8-week Home Study and Online Training format by Deborah Skye King, Professional Past Life Regression Therapist, Founder of The Divine Connection Method and Future Progression Therapist. Her popular 2.5 day program is now available online for a more effective global reach, where she will personally trains and mentors you in the Facilitation of Past Life Regression from the comfort of your home. 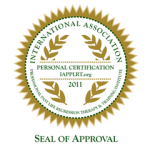 This course contains the following: Introduction to Past Life Regression, Training Manuals, Online Presentations, Live Video Demonstration on how to do a Regression from start to finish, case studies and monthly access to ongoing teaching via conference calls and all PDF downloads. Please note: the first class will cover the introduction to Regression Therapy and where it is today, where it is going and how you can transform your business and personal spiritual education. Are wanting to know what their past lives are and how they are still affecting their present life. Wanting to have healthy relationships with family, friends and intimately. Curious to know why you feel like you are stuck and knowing it is from a past life and needing the assistance to move through it and wanting to help others do the same. Are wanting to fulfill a deep desire to be of purpose and of service to the world. Want a whole new direction in life and know that this is the first step in many to bring them to that place. Desire a future of possibilities that are filled with abundance, opportunity, healthy relationships and know how on where to begin and how to follow through. Wanting a step by step program where you are being taught ancient wisdom and tools that empower you today and will help your current issues. Weekly Training Program for 8 weeks. All trainings are archived. Each student will complete a client case example w/discussion to be emailed in.